Klaus and Janice have now retired from the Wycliffe Bible Translators, but we plan to continue to support the work of translating the New Testament into Metta (Cameroon). The Metta people live in the grasslands of the Bamenda plateau in the North West Province of Cameroon. On their West border their villages lie in the mountains of the borderland to Nigeria. They are an industrious and peace-loving people, traditionally farmers and traders. They traded with cola nuts and the red oil produced from their oil palms. In colonial times many Metta men travelled to the south of the country to work on the plantations. The German colonisers settled on the plateau, working together with the Bali people, an ethnic group which had migrated from Nigeria. When missionaries of the Basel Mission arrived at the beginning of the twentieth century, they developed the Bali language as the church language of the plateau. The church schools taught first in Bali and then in German. Bali became a trade language in the area. The first World War brought many changes. The West of Cameroon became a British Protectorate. English was the official language. Bali continued to be used as a church and trade language. The second World War brought more changes. Cameroon became independent of its colonizers in 1962. Metta men were involved in Government. A group of Metta teachers became interested in developing a writing system in their own language which could be used in church and church schools. At this time the only schools were church schools. There were no secondary schools in the country. After a local teacher and politician made an unsuccessful attempt at a Metta alphabet, the group of teachers approached the Metta politician and then Head of the General Assembly, The Right Honourable Muna and asked him for help. He advised them to make a request to the government for the help of a linguist to work with them on the language. In answer to their request, Klaus and Janice Spreda of the Societe Internationale de Linguistique (SIL) were appointed to help them. An alphabet was formed and the first pedagogical material. The Spredas then returned to Germany for some years, with a few shorter visits (9/10 months) for further work on the grammar of the Metta language. The teachers continued to meet and formed the Metta Language Committee, working in co-operation with the National Association of Cameroon Language Committees (Nacalco) which worked in association with SIL towards developing literacy and a bilingual school system. 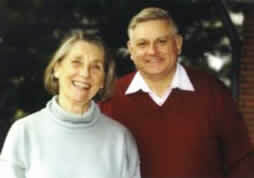 In 1989 Klaus and Janice Spreda returned to Cameroon to help the Metta people to translate the New Testament into Metta. In the following years, Metta pastors and teachers attended training courses in translation techniques. Some preliminary translation was prepared. The first pastors to work on translation were the senior pastors Pastor Moses Fondor and Pastor Peter Tende who had for many years been a member of the Metta Language Committee. These two pastors were influential in the church and community and did much to further interest and gain support for the translation project in the Metta community. They recommended that the translators should ideally be younger pastors. Several younger pastors received training courses until finally the church released the younger pastor John Fokwa, originally a teacher, to be the main translator although he also had a parish to lead. The senior pastor John Atoh was also appointed to work with him on the translation. The combination of a senior, experienced pastor with a younger man was a very good solution. Pastors of other denominations have since joined the team. They attended training courses and worked together with Klaus Spreda on the translation. Another person of importance in the Metta of Bible Translation was the late John Takud, a highly gifted language assistant and later translator. His understanding of the Metta culture and his exceptional command of his own language made his contribution of the greatest value. It has been a feature of the Metta translation project that all churches have co-operated and that the community has been supportive. In 1972 when the Spreda family went to help the Metta project, the Metta people were in the process of forming an organisation to further development in health, agriculture and road communication in their community. From the first days they supported the development of the Metta language, at first in moral support and later in substantial donations to the training of teachers to teach Metta in the schools, and towards the publication of materials for this. They were, together with the Metta Church, the representatives of the community in the development of the language and in Bible Translation. Apart from the contribution of the Spreda family to the Metta language project, help was given through Cameroonian Organisations. The Ministry of Women’s and Social Affairs. A group of professors and lecturers at the university of Yaoundé tried for many years to establish a system of trilingual education in Cameroon: the national language French or English, the dominant language (largest number of speakers in an area), and the mother tongue of the pupils. The actual attempts at this concentrated on the mother tongue in combination with English or French. In order to develop the languages of an area they formed language committees of men who were interested in developing their languages linguistically, working together in this with Wycliffe Bible Translators (SIL). They held annual training courses for teachers to help them develop their writing systems and produce pedagogical literature. Metta teachers, members of the Metta Language Committee, attended these courses, their contribution to the costs being carried for the Metta community by MECUDA. This Ministry co-operated with the Church Women’s Fellowship of various churches to promote mother tongue literacy in the groups of the Fellowship. Mrs Ruth Mobit, a Christian social worker with the Ministry in the Metta area, was the initiator of this co-operation. She invited Janice Spreda to accompany her on visits to the groups she was responsible for, with the aim of economic development and improved family health in a wider sense. At that time the main activity was the development of communal vegetable gardens. The Metta women were traditionally responsible for food production, cocoyams which grew in ridges upon which beans were also planted. Maize was a newer crop. There were no green vegetables. At some point huckleberry leaves were introduced. They grew where there was water. The traditional ‘farms’ did not need watering. The crops grew in the rainy season. The new vegetable gardens were built near a river and green vegetables and tomatoes planted. The women learned to water each day and shared the work. So we met in the vegetable gardens. Each group explained that they wanted to learn to read and write in Metta and asked Janice to come and teach them. She said she would come when the necessary books were finished. One group was especially persistent. They visited Klaus and Janice with vegetable presents, invited them to their church and stood in line to give their names after the service. Klaus and Janice therefore decided to make lessons with them part of the literature development. The lessons were prepared together with the group leaders, Pauline Eyire and Sylvia Akwen who then taught their group. The women were very enthusiastic learners. After some time when Klaus and Janice visited the SIL centre in Yaoundé, Ruth Mobit wrote a letter to the Ministry in Yaoundé, together with some photos they had taken and gave it to Janice to deliver to the Department of Women’s Education at the Ministry. Janice was very well received and there followed a visit of the Director of Women’s Education of the Ministry to our group. She advised us to extend the programme to further groups, training the group leaders to teach. The Ministry also contributed to one of the training sessions we held monthly. The leaders of the groups were all members of the Church Women’s Fellowship and the classes were held in the churches. a school headmaster representing MECUDA. Richard Tah, a teacher, as CABTAL project manager belonged also to the Steering Committee. This committee discussed with CABTAL the possible financial contribution of the community to the total project and the people available for the work. The Bible Translation project continues to belong to the Metta community under the MBTSC, running with the help of Cameroonian management and international financing under CABTAL. SIL continues to give consultant help. The translation of the New Testament has gone ahead under CABTAL management and was completed in 2013, with a dedication ceremony held on 1 March 2014.